How to get a tax free refund in Holland? Did you know that if you, a non-EU citizen, spend a minimum of €50 in the Netherlands, you can get up to 13,75% of the purchase price back? 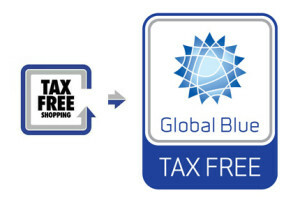 Doing shopping in the stores that are connected to Global Blue’s Tax Free Shopping service will help you save your money. And yes, the Dutch shops (De Bijenkorf on Dam Square, numerous mass market shops in Kalverstraat and lux boutiques in P.C.Hooftstraat) have a have a lot for you to offer! 1. Make sure that a shop that you are visiting is a part of Global Blue service. Usually you can see it the blue and white logo on the entrance door and at the counter. 2. As soon as you’ve found your perfect items, ask the shop assistant for a Tax Refund Cheque. As a rule, he or she will help you to fill it in. Make sure that your details (passport data and home address) are filled in correctly. 3. When you are leaving the Netherlands, take your purchases (they should be unused and keep the original package), receipt and passport to the customs desk or Global Blue Customer Service center (located at the Departure 3 hall in Schiphol) to get your Tax Refund Cheque stamped. Please note that if you are leaving to another country inside the EU, you will have to stamp your cheque at the airport/point of the final departure from the EU. 4. And, finally, the most pleasant step! Present your stamped Tax Refund Cheque and passport to Global Blue Customer Service representatives and get a refund in cash or back on your card. 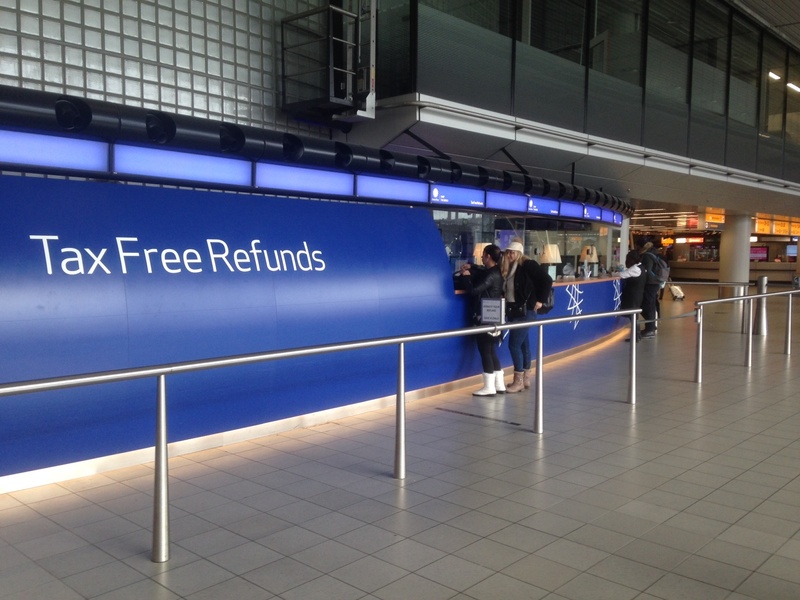 How to find Tax Free refunds points in Schiphol? at ABN AMRO bank Airside, Departures Lounge 2. Global Blue Customer Service centers in Schiphol are open 8.00 – 19.30. Visit customs to get your Travel Refund Cheque stamped. Leave your Travel Refund Cheque and receipt from the store in the Global Blue mail box, or take these documents back home and get your refund in a Global Blue tax refund office in your country. Enjoy tax free shopping in the Netherlands! Tax-free shops in Schiphol: visit and enjoy!